Blessed day to you all. 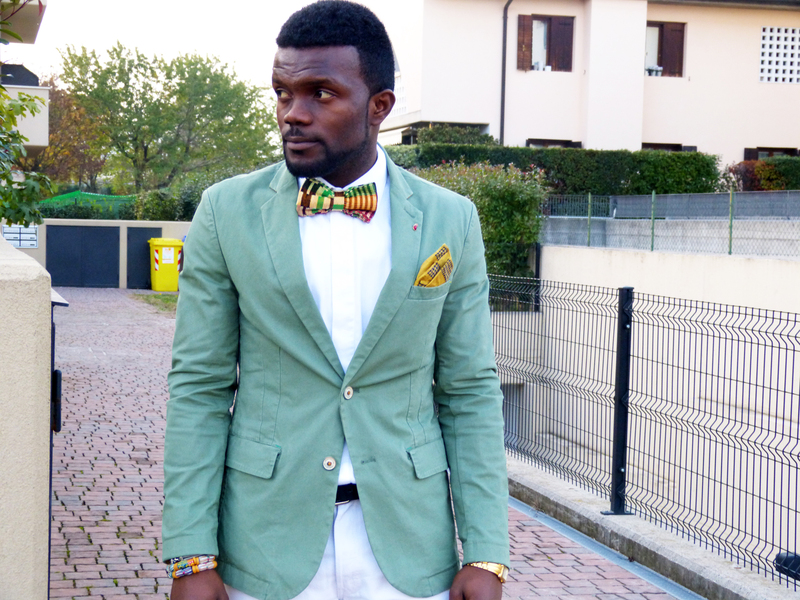 It’s another chapter of Afro-Euro, and I was in Italy this time around. Veneto (Italy) is one of my favorite cities in Italy and I love everything about the place, from their food to their way of dressing. 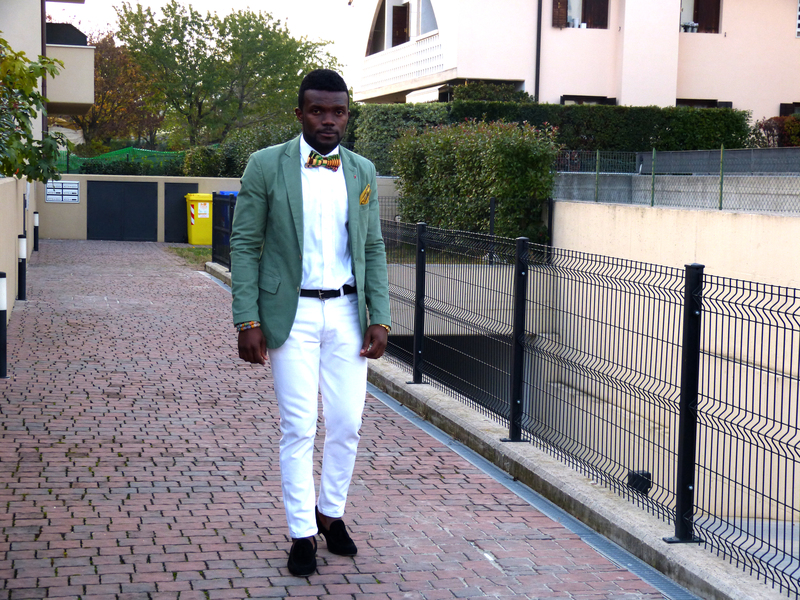 Because Italians ain’t afraid of colors I decided to put on light green blazer with some white jeans and shirt. 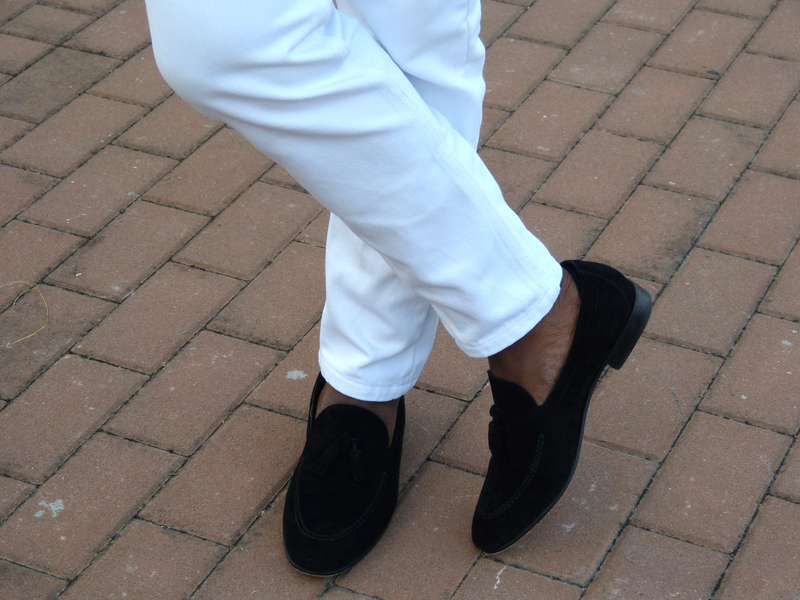 I trust by now you know a bit about my Afro-Euro style (those who follow me) and for those who now joined, its just a blend of African and European style. So from today’s outfit it’s my bow tie and traditional wrist beads that are from my mother land (Ghana). 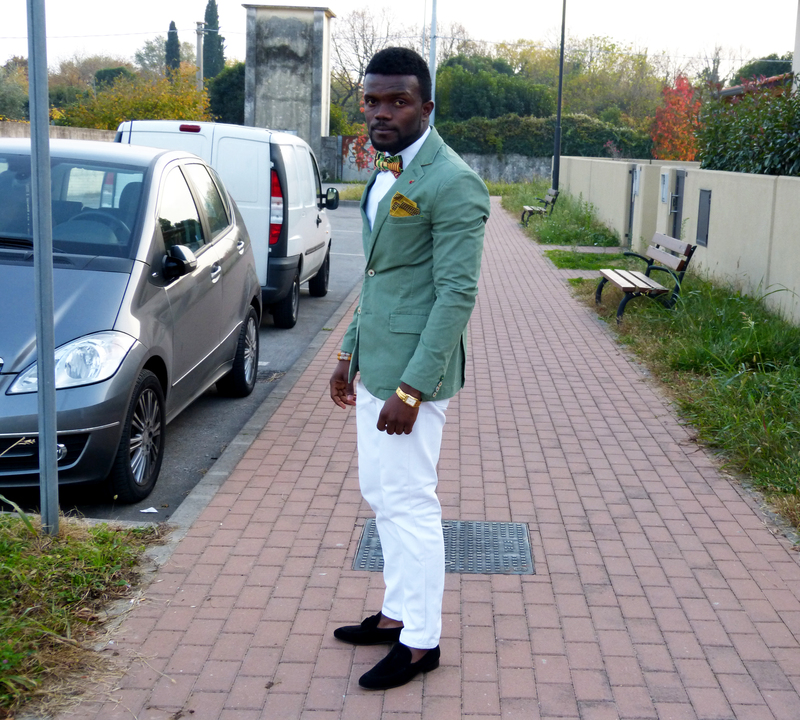 I do love this Zara blazer, it good for the weather and the color makes me standout. These are the the details. 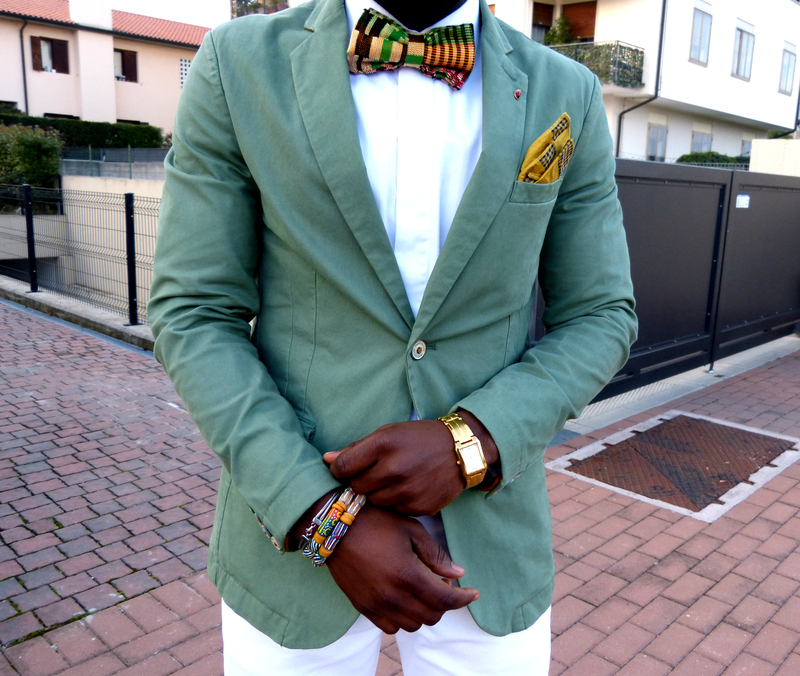 ‘Kente’ bow tie (from Ghana), beads (from Ghana), pocket square and the small red crest-pin. The bow tie was customized for me, the beads are special ones made for me, I had the pocket square and the crest-pin from a thrift shop in Prague.